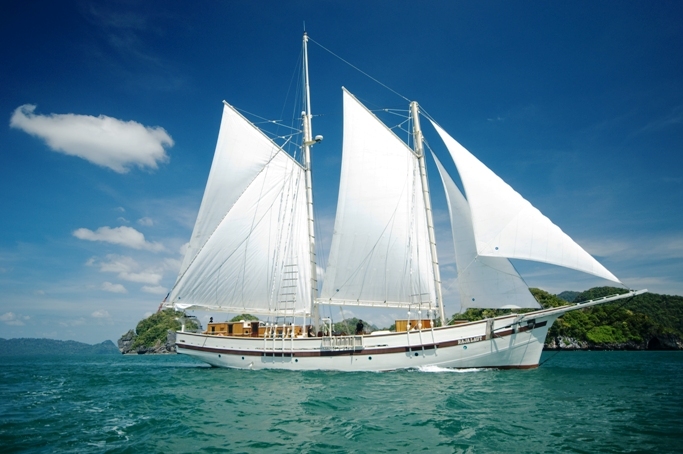 Designed in traditional style of the region, similar to the ships of the 19th century, the Classic sailing yacht RAJA LAUT is a charming luxury vessel and a perfect choice to discover the breath-taking Andaman Sea, Borneo or Palawan in the Philippines. 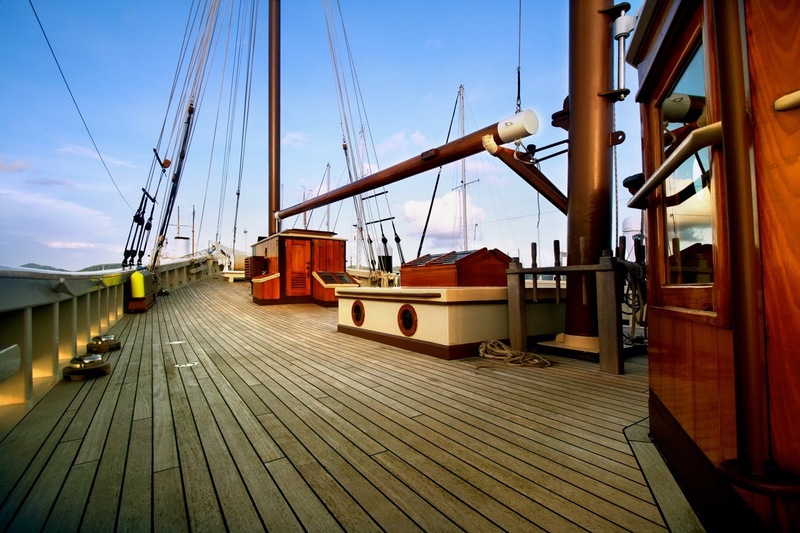 Raja Laut yacht is a gaff topsail schooner designed by Georges Carraz, boasting rich timber interior complemented by large open decks and a complete range of modern technology. 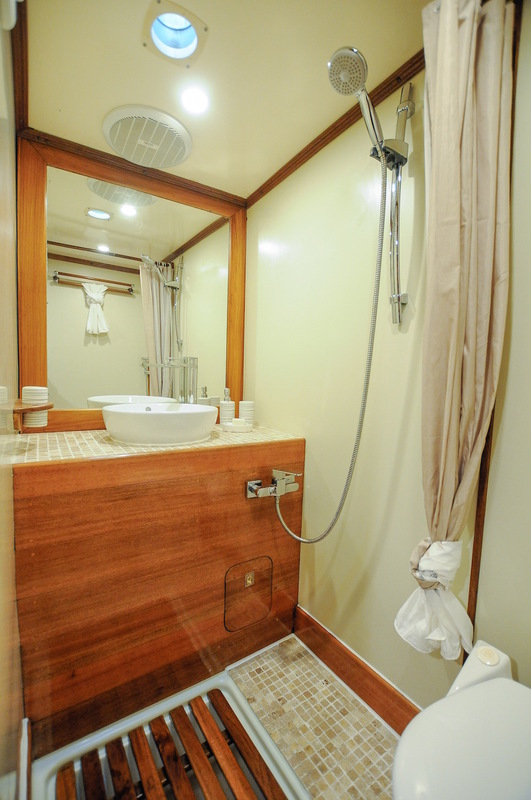 Traditionally styled accommodation, enhanced with modern facilities, such as air-conditioning, multimedia and satellite, is provided to twelve charter guests in three double and three twin cabins. 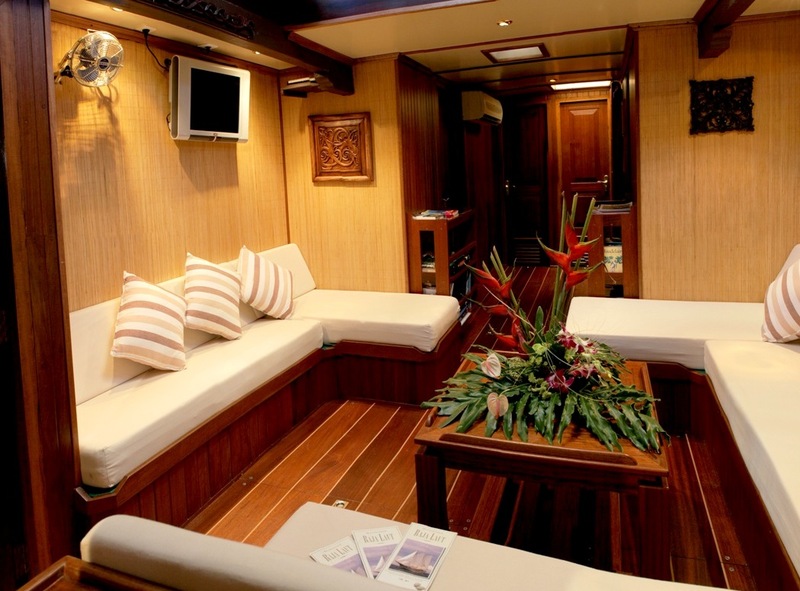 For guests entertainment, RAJA LAUT’s below deck lounge area features TV and music systems. A spacious dining area for fabulous al-fresco dining surrounded by the most beautiful vistas imaginable can be found above deck; together with comfortable sun beds to relax on. There is a professional, multinational and friendly crew of 7 on board, including the Captain, Chief Stewardess, Chef, Dive Guide, two deckhands and an engineer. 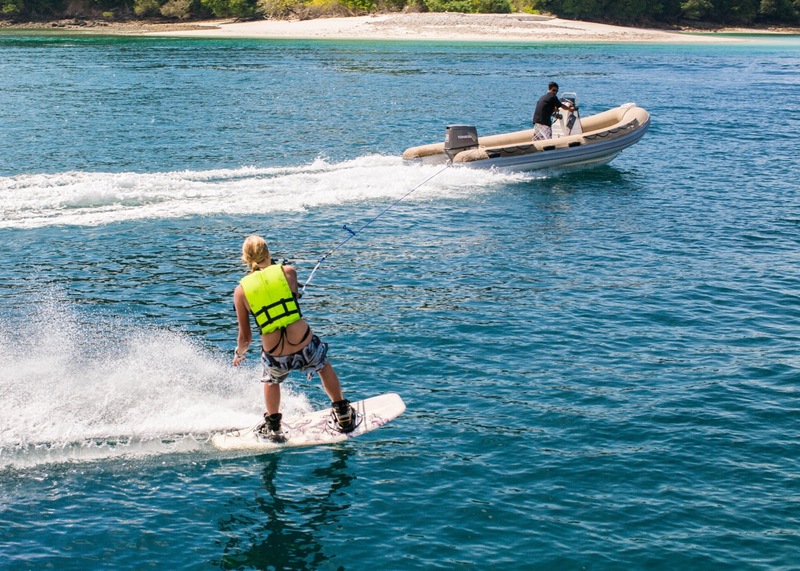 A fabulous yacht charter destination and a world class cruising ground, The Andaman Sea offers miles of sailing pleasure, with picturesque islands, beautiful natural beaches, national parks, excellent diving sites and unique culture. 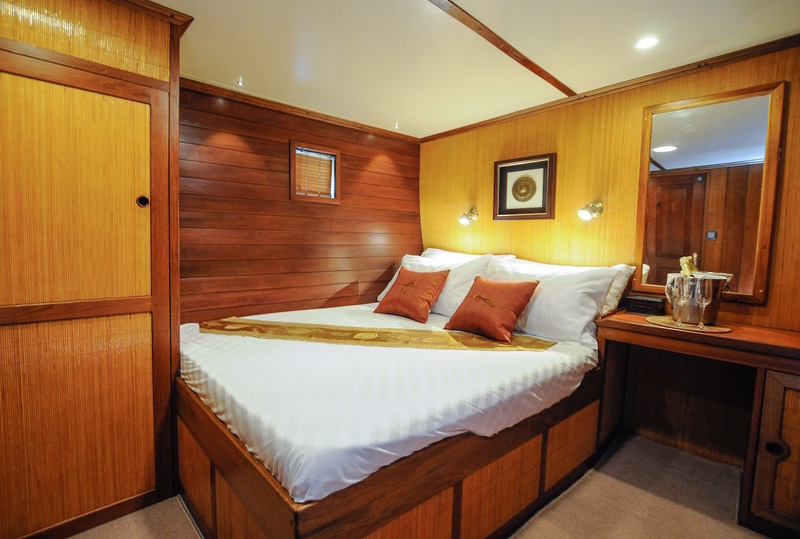 Phuket, Thailand, Langkawi, Similan and Mergui, each one of the with plenty of exciting new places to discover offering everything a tropical cruise could offer. 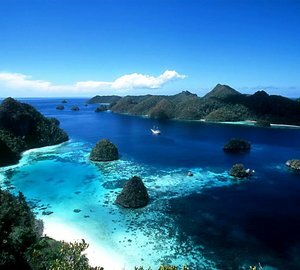 Borneo is one of the best destinations to escape to from a busy everyday life and enter a world that no one seems to know and fortunately only a few yachts visit. The island is divided among three countries: Brunei, Indonesia and Malaysia. Borneo is home to one of the oldest rain-forests in the world and surrounded by beautiful coral atolls, oceanic islands, beautiful beaches with pristine waters. It is also a perfect place for diving enthusiasts. Palawan is a spectacular island province of the Philippines, stretching from Midoro in northeast to Borneo in southwest, named after its largest island, Palawan Island. 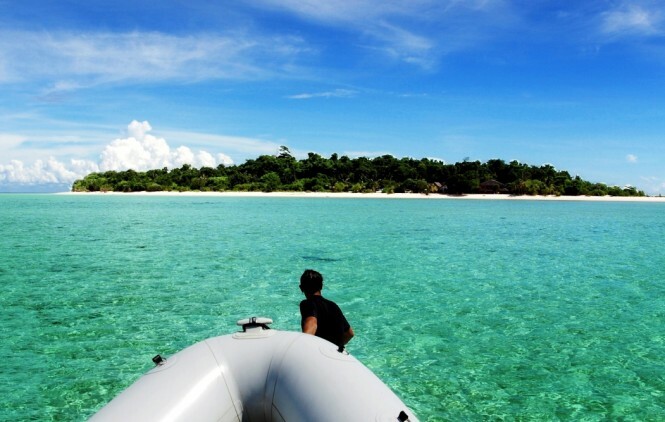 Cruising around this area, you could encounter the endangered sea turtles nesting on white sand beaches or listen to the songs of more than 200 kinds of birds in forests and grasslands, while venturing out for a day trip of trekking and discovery. 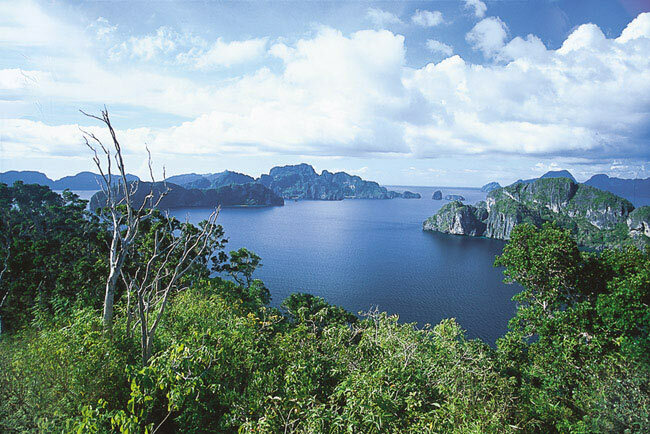 Palawan was also listed as one of the National Geographic’s top 20 destinations in the world. 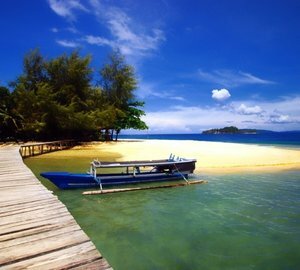 Palawan is also known as the “Last Ecological Frontier of the Philippines”. The northern part of Palawan province is surrounded with crystal-clear waters, pristine beaches, and a wealth of flora and fauna, where the charming El Nido can be found. Magnificent limestone cliffs tower over marine sanctuaries teeming with endless number of species of tropical fish and coral, as well as five species of endangered sea turtles. You will fall in love with the serenity of this place. Wreck divers will find the Coron Bay extremely interesting, as wrecks here are in excellent condition and lie at depths that can be reached by sport divers. However, it is highly recommended that only experienced divers dive here and after careful planning. 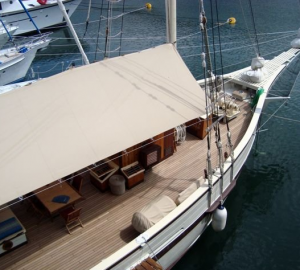 Luxury yacht Raja Laut is currently available for rent at EUR€ 24,500.00 − 29,400.00 per week plus expenses. To find our more about her exact charter schedule and to obtain additional information, please contact our brokers here. 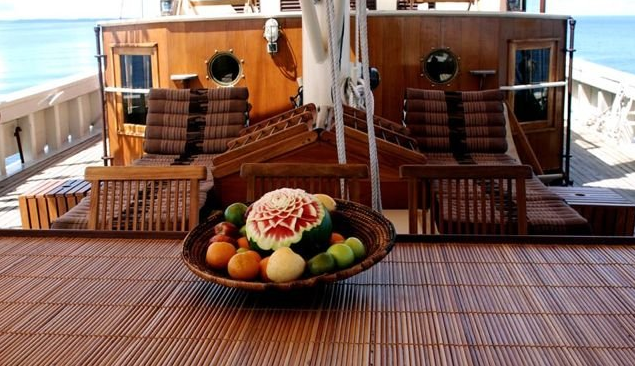 Please contact CharterWorld - the luxury yacht charter specialist - for more on superyacht news item "Live the fascinating Andaman Sea, Borneo and Palawan yacht charter aboard traditional schooner 'RAJA LAUT Yacht'".